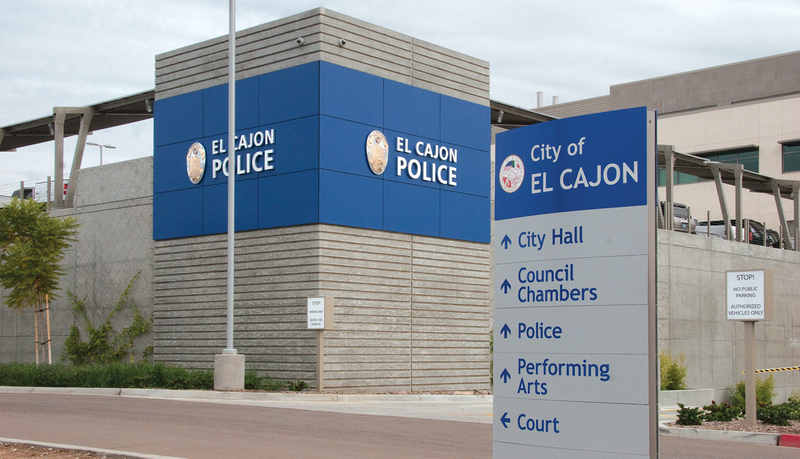 Located on a 5.7-acre master planned site, the El Cajon Public Safety Center is a five-story 332,000 sq. ft. state-of-the-art facility that houses the local El Cajon police and fire departments as well as administration and operations departments. 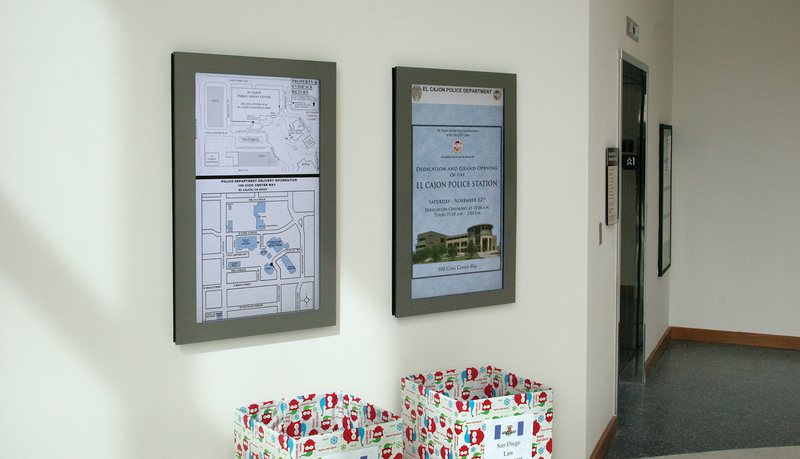 The public safety center was built to meet the LEED® Gold standards. 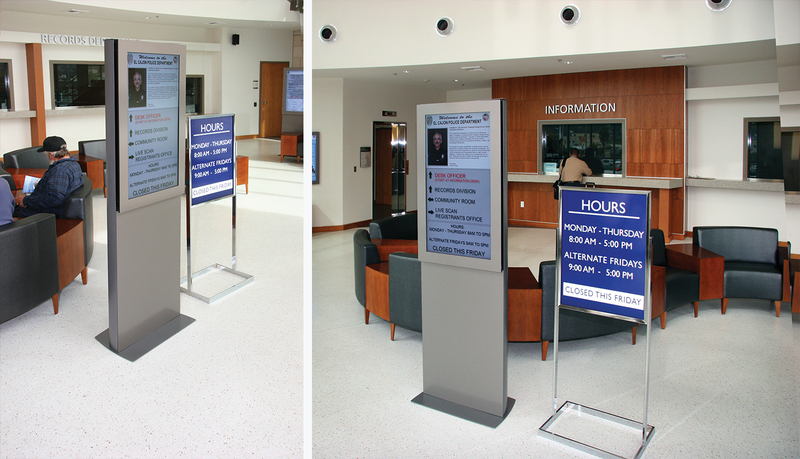 Prior to the opening of the safety center to the public, a comprehensive architectural signage solution and wayfinding plan needed to be designed, fabricated and installed. 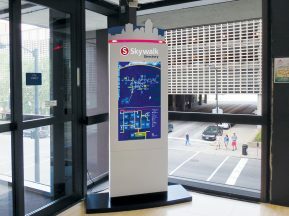 KMA Architecture, the firm responsible for the design and engineering of the center, partnered with ASI because of our history of delivering turnkey solutions using our proven process, known as SignPlan™. 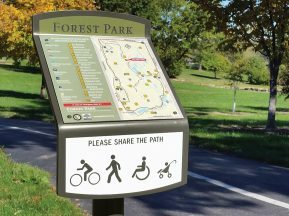 SignPlan™ is a comprehensive planning process that identifies and provides project-specific solutions that follow ADA and code regulations, meets wayfinding and messaging challenges, communicates brand identity, and addresses documentation needs. 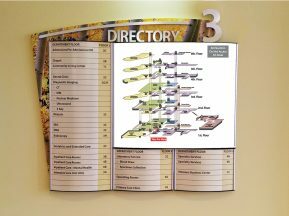 SignPlan™ resulted in a comprehensive architectural signage program specifically designed for the safety center, which includes digital signage, modular interior signage and exterior identity and directional signs. 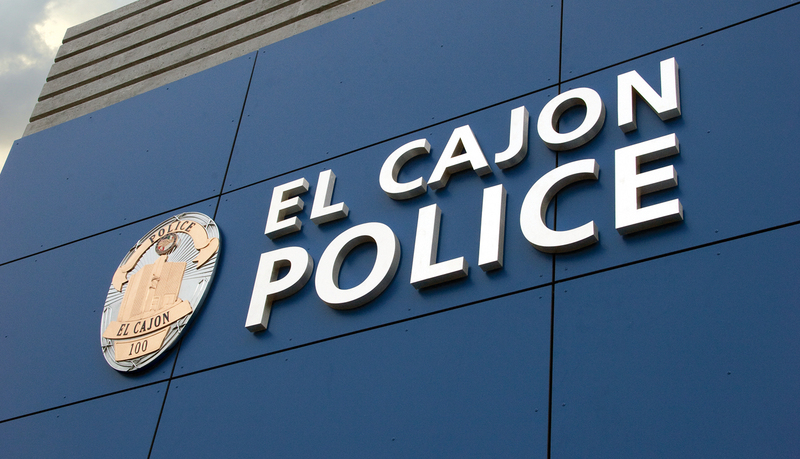 The Public Safety Center is clearly identified by a large, custom dimensional letters and logo, with the El Cajon Police Department shield mounted onto a vibrant blue façade. 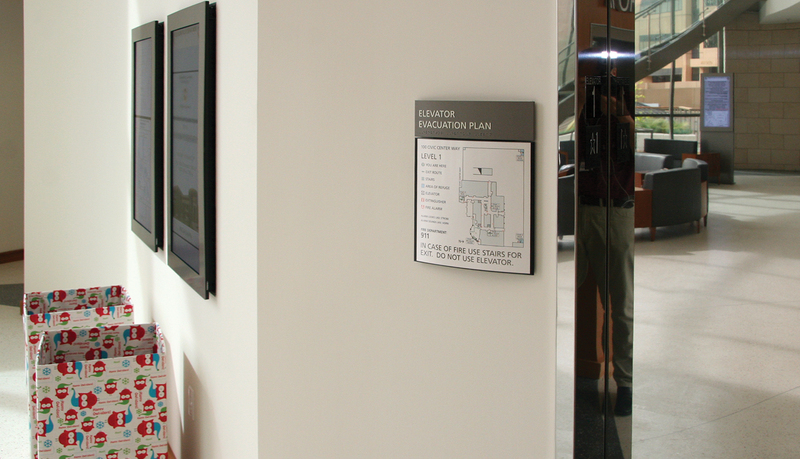 Visitors driving through the campus and walking to the center are guided by Pacific Exterior™ directional wayfinding signage. 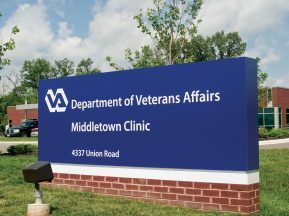 Once inside, digital signage directs people to the most frequently visited areas of the center, and a digital media wall displays public safety information as well as current and upcoming events. 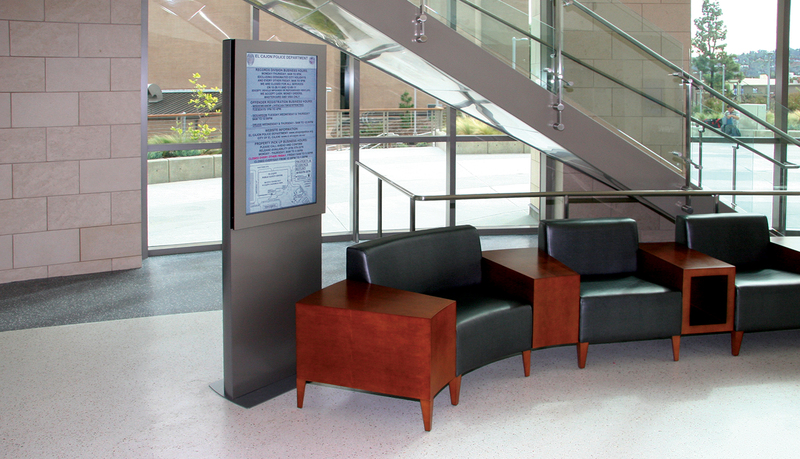 Pacific Interior™ modular signage is used for the interior signage solution because the system complements the curved architectural design of the center’s grand rotunda. 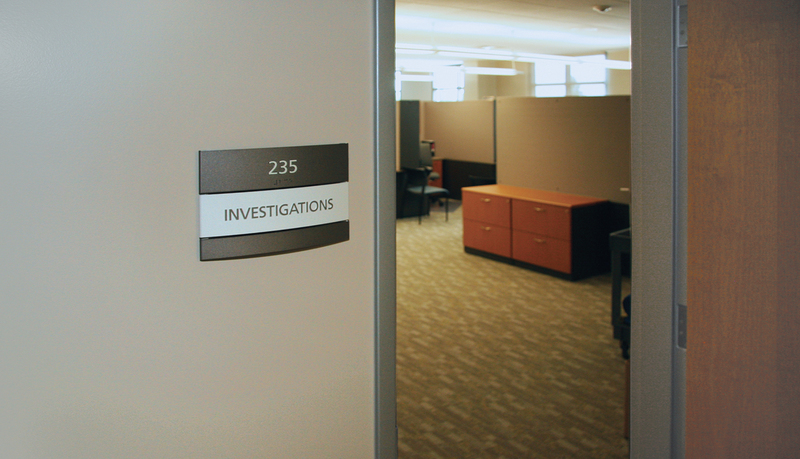 In addition, Pacific’s modular functionality ensures that sustainable information updates can be made by the facility management staff for years to come.